Environmental sensors have been our primary core technology since our operations began in 2004. InnoSense CEO Dr. Kisholoy Goswami commercialized the world’s first fiber-optic chemical sensor for hydrocarbons in the 1980s. Our sensor technologies address diverse markets and industries. From monitoring major atmospheric constituents in spacecrafts to sub-surface CO2 plumes – up in space or below the earth's surface – our versatile sensors offer cost-effective performances. 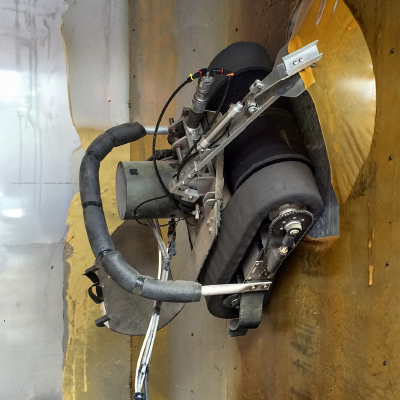 Many of our sensors have been designed to operate in harsh environments such as rocket exhausts and space. All our sensors feature lightweight and robust designs. Learn more about our environmental sensors, their development and how we can work together to find a solution to your needs. Our novel nanowire-based electrochemical sensors can monitor chemical (and biological) analytes. The micron&dash;sized electrode junctions, modified with nanowires, are easily packaged into a sensor array for multi-analyte detection. This array can detect atmospheric gases, toxic chemicals, biochemicals, and hypergolic fuels. Using this technology, we are developing HypergoLeak, a hypergolic propellant leak detector currently undergoing commercialization and PNESA, Polymer Nanowire&dash;Based Electronic Sensor Array for Carbon Dioxide Monitoring. MOSA is a lightweight, multi- analyte optical sensor that can detect oxygen, carbon dioxide and humidity over a wide dynamic range (0-100% for 02 and CO2 and 20-80% for relative humidity). 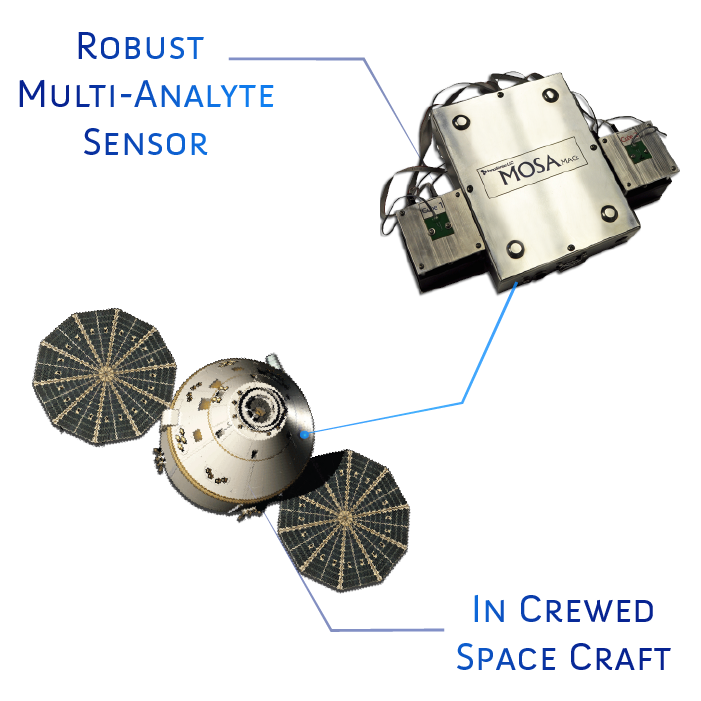 Originally designed for the space program, MOSA meets NASA’s requirements for an integrated compact and automated sensor that can measure atmospheric constituents in spacecrafts throughout long duration missions. MOSA can measure industrial and hazardous gaseous analytes remotely with higher sensitivity than other sensors. This multi-analyte sensor can be used for fuel tank, oil and gas production and engine efficiency monitoring. DOSHO can detect trace amounts of hydrogen (10ppm) in an oxygen background. DOSHO will selectively detect hydrogen even with interference from oxygen, moisture and trace levels of ammonia, hydrofluoric acid, carbon monoxide or carbon dioxide. The optoelectronics are rugged and robust with drift-free sensor performance. Originally under development for leak detection in the International Space Station and future spacecraft, other applications for DOSHO include analyzing electrolysis and fuel cell process streams. From fire retardant to hydrophobic properties, our nanomaterial-based coatings have been fine-tuned with nanomaterials for a variety of applications. Through extensive research the best formulation and coating method is identified for each substrate –from thermoplastics to metals. Our solutions are not a one-size-fits all approach. We find the best coating and method for each problem. Our nanomaterial-based coatings are currently being developed as fire-retardant for textiles, self-cleaning surfaces for running shoes, human waste management systems for spacesuits and more. Learn more about our coating technology and its applications below. Trap & See&TRADE; is a family of strippable coatings, which visually indicate the presence of hazardous contaminants (e.g., toxic metals like mercury, chromium, cadmium and lead). 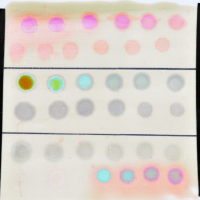 These color-smart coatings use embedded proprietary and specific chemochromic agents in the formulations to bind the contaminants and visually indicate their presence upon entrapment. The coatings can be applied and adhere to many types of smooth, rough and porous surfaces including: metals, glass, concrete, brick, wood, PVC and painted drywall. Once dry, the coatings can be stripped by direct peeling or application of moderate mechanical force without cracking or tearing. 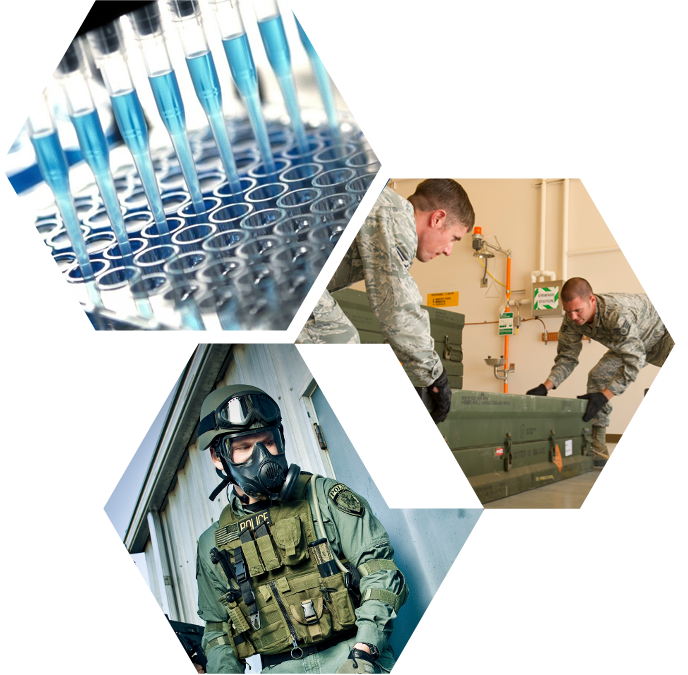 Trap & See coatings can be customized to characterize and target specific containments. For example, such a coating could be applied on a small wall-area of a child's bedroom to detect toxic lead levels. Trap & See-Hg is the first in this line of strippable coatings to sequester mercury contaminants. Trap & See-Hg visually indicates the presence of ionic and elemental forms of mercury by color formation and entraps these contaminants for safe removal. Currently, Trap & See-Hg has been developed and tested with mercury-contaminated samples from the Y-12 Complex at Oak Ridge National Laboratory. The main goal is to aid the Department of Energy’s efforts to demolish and upgrade mercury-contaminated infrastructures at the Y-12 Complex. Trap & See-Hg coatings have been applied using a small remote-controlled climbing machine, The Climber, developed by International Climbing Machines, Ithaca, NY. The Climber with its Paint & Mastic Spray Head attachment can apply Trap & See coatings in potentially contaminated environments unsuitable for humans. Once the mercury has been sequestered and the coating is dry, The Climber can also peel the coating with its prototype Rotopeen attachment. Clean-It coating imparts water shedding on the surface of coated substrates. Its excellent water-shedding capability is due to the nanoscale materials with tunable surface chemistry that render the surface hydrophobic. Surfaces coated with Clean-It have a water contact angle of more than 150°. Originally developed to maintain eyewear clear for the Army, Clean-It has gained interest as a coating for self-cleaning surfaces such as sneakers and mirrors. SOFSeal is a sol-gel ink, which is fired to produce Yttrium Stabilized Zirconium (YSZ) coatings for solid oxide fuel cell components. SOFSeal is deposited via screen printing between the existing compliant glass layer and metal interconnect to prevent the glass layer from attacking the metal interconnect in SOFCs, a clean energy alternative for electrical power generation. At the high operational temperature of SOFCs, glass leak can reduce the performance of the metal interconnects —a deterrent to wide&dash;scale adoption of SOFCs. Commercially available YSZ coatings and deposition methods are either too expensive or too time consuming to be a viable solution. SOFSeal offers a feasible and economical solution (potentially less than $.05 per gram). The Bead&dash;It and Wick&dash;It coatings were initially developed to create a push-pull effect in embedded capillary systems for spacecraft fluid management . The dual coatings work by pushing fluid away from the Bead&dash;It coated superhydrophobic surface and pulling fluid evenly towards the Wick&dash;It coated superhydrophilic surface. 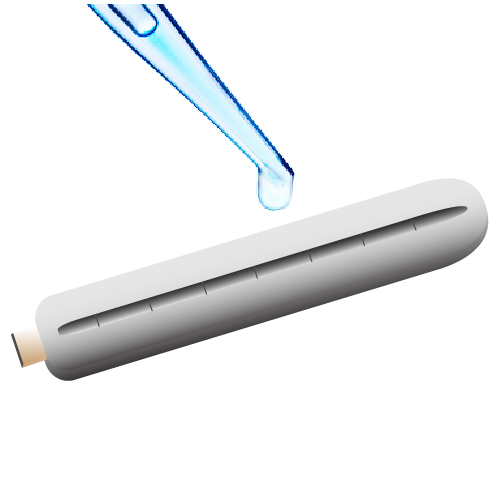 Bead&dash;It coated substrates are superhydrophobic with contact angles up to 135°. Wick&dash;It coated substrates are superhydrophilic with contact angles between 5° &dash; 10°. The coatings have demonstrated excellent adhesion on polymer substrates with or without embedded capillary structures. The coatings also have antimicrobial properties which have been proven to inhibit bacterial growth. FirePhob is a family of versatile, non-halogenated flame retardant (FR) materials. FirePhob forms a flame retarding glassy layer when exposed to fire and thus can protect from direct flame. 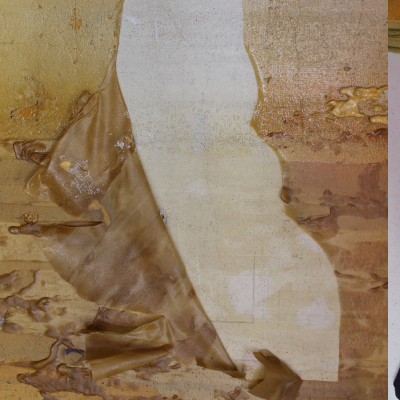 FirePhob can be permanently applied to fabrics/textiles (including cotton, polyester, spandex, nylon-cotton and fabrics of any weave) as a filler or coating. The mechanical properties of the treated textiles remain unaffected. FirePhob does not leach out and endures over time after repeated washing. These materials can also be applied to plastics and metals for durable protection. Unlike other halogenated FR materials, FirePhob is non-toxic and safe. The phosphorous-based compounds eliminate toxic and corrosive fumes. FirePhob is applied using environmentally friendly solutions in non-toxic solvents. OPTICOP is a low sheet resistance (30-50Ω/&square;) coating intended to repair nicks and scratches on indium tin oxide (ITO) coatings. OPTICOP can seamlessly fill damaged ITO coated areas to ensure the entire coating retains its optical and conductive properties, and its radio frequency interference RFI). The optically transparent (75-80% light transmission) and flexible coating adheres to glass, polycarbonate and acrylic substrates when applied by spray or brush coating with a low annealing temperature (60 °C). OPTICOP was originally developed to repair damaged ITO coatings on Air Force windshields and other areas of interest. However, OPTICOP could be applied to any device that requires a continuous conductive coating —smart&dash;phones and computer touch screens/phones, opto-electronic devices or solar panels. These functional materials can be used in a variety of applications and seek to surpass what is commercially available today. These advanced materials out perform the alternative even in harsh and extreme environments. From our ionic liquid-based lubricants with superior lubricity under freezing temperatures to our rare isotope solid catcher materials with greater stopping power than existing gas catchers, our emerging materials are technologies for tomorrow. 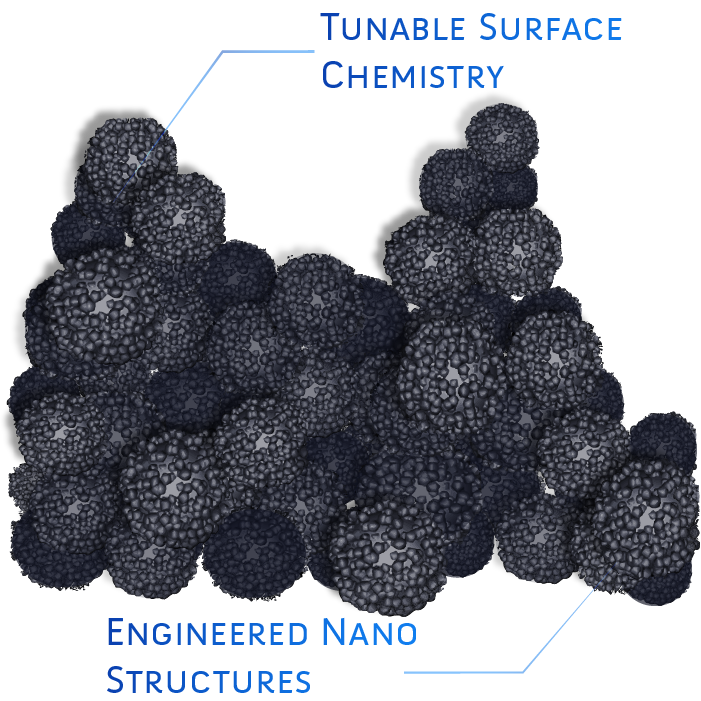 Learn more about our advance engineered material technologies and their applications below. Our emerging rare isotope solid catchers will be used in radioactive isotope production facilities, such as the Facility for Rare Isotope Beams (FRIB) at Michigan State University, to enable capture and fast release of isotopes . These isotopes have applications in areas as diverse as medicine, homeland security, advanced materials, and industrial processes. Fast-release solid catchers are complementary to the more widely used gas catchers for rare isotope collection and delivery for research and applications. Solid catchers are especially effective for stopping energetic light elements which have too much range for gas catchers. Solid catchers are useful for the delivery of much more intense beams, and are compact enough to enable parasitic “harvesting” of longer-lived isotopes for off-line applications. The open porosity of solid catchers enables the capture and fast release of isotopes to provide intense rare beams. These solid catchers allow the diffusion/effusion of short-lived isotopes as atoms or molecules, have higher stopping power (~100 to 1000 times) than gas catchers and do not suffer from the space charge intensity limit of 108-109 ions of gas catchers. Also, their compact size means they can be physically located in the focal plane of the fragment separator. Tungsten (W) catchers are currently being developed to complement gas catchers for the capture and fast release of tin isotopes. The W-catchers remain stable in energetic radioactive beams and maintain their porosity (>40%) at high temperatures (1200 °C) for a long time. Refractory oxides with tunable porosity and geometry catchers are being developed for the capture and release of isotopes of carbon monoxide and carbon dioxide. These yttria-stabilized zirconia and hafnia catchers retain open porosity (42-47%) and can be fine tuned to achieve densities of 2.74-3.04g/cm3. This high density and open porosity are ideal for capturing rare isotopes. Refractory carbon aerogels as solid catchers are being developed for two classes of radioactive isotopes of oxygen, those with very high yields, e.g., 15O (up to ~1011/s) and ones with very short lifetimes and low yields such as 24O (65 msec). Our line of innovative phase change materials are ionic liquid-based formulations for a variety of applications including lubricants and thermal management materials. 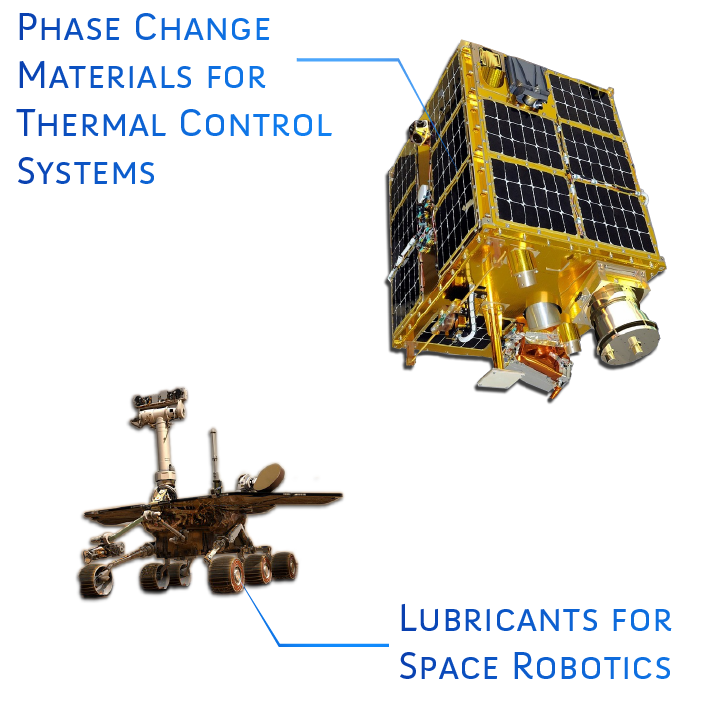 IonoGlide™ is a lubricant originally developed for NASA Robotics. IonoGlide is compatible with various substrates. This innovative lubricant consistently protects substrates from corrosion and wear under extreme environments. Its blend of ionic liquid and pyridinium salts makes it thermally stable . It can withstand a wide range of extremely cold and hot temperatures (-50 °C to 80 °C). It retains lubricity even after temperature cycling, outperforming current lubricants . It is durable— excellent anti-wear performance— and resistant to friction- induced heat and tribo-corrosion. IonoTherm™ are phase change materials for thermal control systems developed for CubeSat/Nanosatellite applications in low earth orbit environments. IonoTherm formulations have demonstrated excellent thermal management attributes. IonoTherm's higher thermal conductivity in both liquid and solid phase (~0.3 W/(m*K)) enables storage and extraction of thermal energy with less temperature gradient. Its heat of fusion per unit (~220 kJ/kg) allows a small amount of material to hold magnitudes of thermal energy. IonoTherm's has negligible volume expansion (&lE;1%) and high heat density, thus a simple, small and low-cost container and heat exchanger can be used. Our line of innovative polymeric composite foams offer superior thermal insulation and customizable features. These polymeric foams modified with functionalized, nanoscale aerogels can offer hydrophobicity to reduce water ingress, reactivity and other characteristics for a variety of applications. 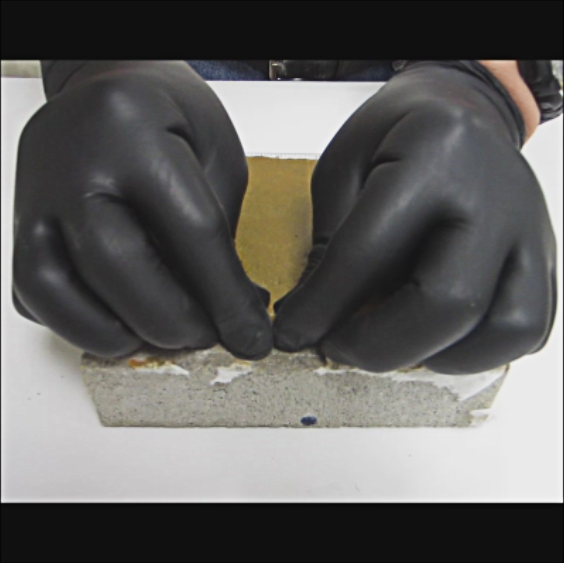 These composite foams offer greater resistance to heat flow (R-value increased by 30%), are UV resistant and can be formed in situ. CryoPore™ is an inexpensive, durable, cryogenic insulation material for space exploration . CryoPore was developed to provide cryogenic insulation and reduce fuel losses through boil-off. It offers superior performance over baseline polyurethane foams currently used in spacecrafts. 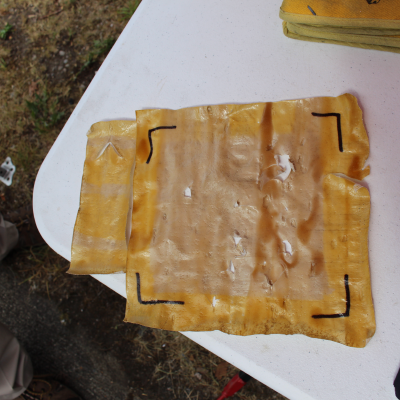 InsuGel™ is an energy saving aerogel impregnated foam from green sources for piping and existing duct work. Piping and ducts can be retrofitted with InsuGel which is lightweight, conformal and thinner than fiberglass batting. As the adverse impact of human activities on the environment becomes more apparent, the need for technologies to mitigate and lessen environmental hazards also becomes increasingly important. To this end, our green technologies aim to be part of a sustainable solution. Our smart decontamination coatings indicate the presence of contaminants such as mercury and traps them for safe removal. Our catalysts in photoelectrochemical cells (PEC) will convert carbon dioxide, a greenhouse gas, into methanol using renewable solar energy. Our emerging green technologies are part of a sustainable solution for continued development. Learn more about our green technologies and their applications below. PNESA, polymer nanowire-based electronic sensor array, can detect carbon dioxide in concentrations as low as 10 ppm. The PNESA nanowire sensor is being designed and tested to operate at the subsurface where captured carbon dioxide is sequestered for long-term storage. PNESA will detect carbon dioxide leaks in subsurface storage locations where a leak could seep into groundwater. PNESA operates over a long duration (over 570 days) in the presence of dry nitrogen, oxygen methane and relative humidity. The sensor is robust and compact. It is operational under vibration and shock and up to 1200 psi pressure. PNESA can also detect carbon dioxide dissolved in water. FirePhob is a family of versatile, non- halogenated flame retardant (FR) materials. FirePhob forms a flame retarding glassy layer when exposed to fire and thus can protect from direct flame. FirePhob can be permanently applied to fabrics/textiles (including cotton, polyester, spandex, nylon-cotton and fabrics of any weave) as a filler or coating. The mechanical properties of the treated textiles remain unaffected. FirePhob does not leach out and endures over time after repeated washing. These materials can also be applied to plastics and metals for durable protection. Unlike other halogenated FR materials, FirePhob is non-toxic and safe . The phosphorous-based compounds eliminate toxic and corrosive fumes. FirePhob is applied using environmentally friendly solutions in non-toxic solvents. 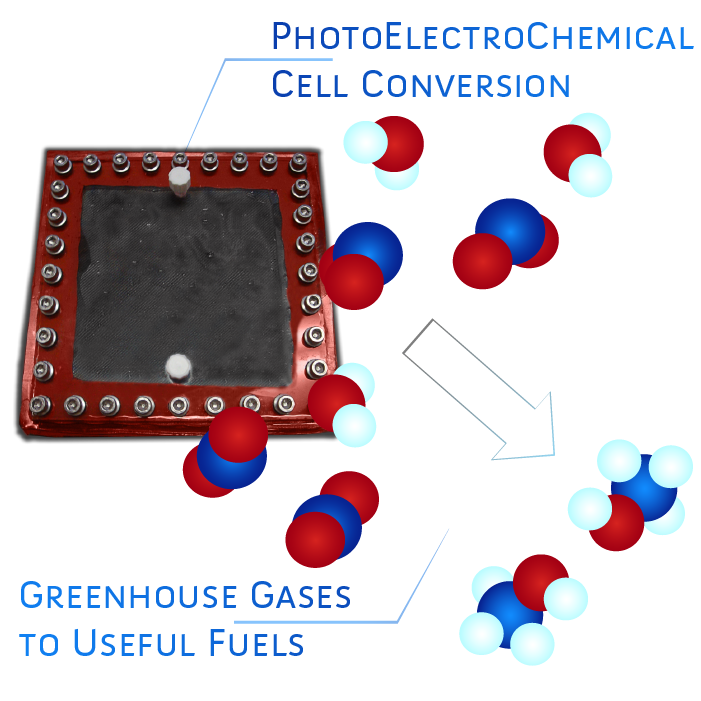 The PEC cell approach uses flame-treated carbon-modified titanium photoanodes and inexpensive cathode materials to split water and subsequently reduce carbon dioxide to methanol products. The system is cost- effective and uses scalable techniques to fabricate carbon modified titanium dioxide electrodes. The photoanode and cathode creates a close-loop system. Our renewable energy technologies are also at the forefront. With stakes in solid oxide fuel cells and methanol fuels, our emerging technologies will be part of the future of renewable energy. We are developing advance materials for photovoltaics and for carbon dioxide conversion to provide methanol fuels and much more. 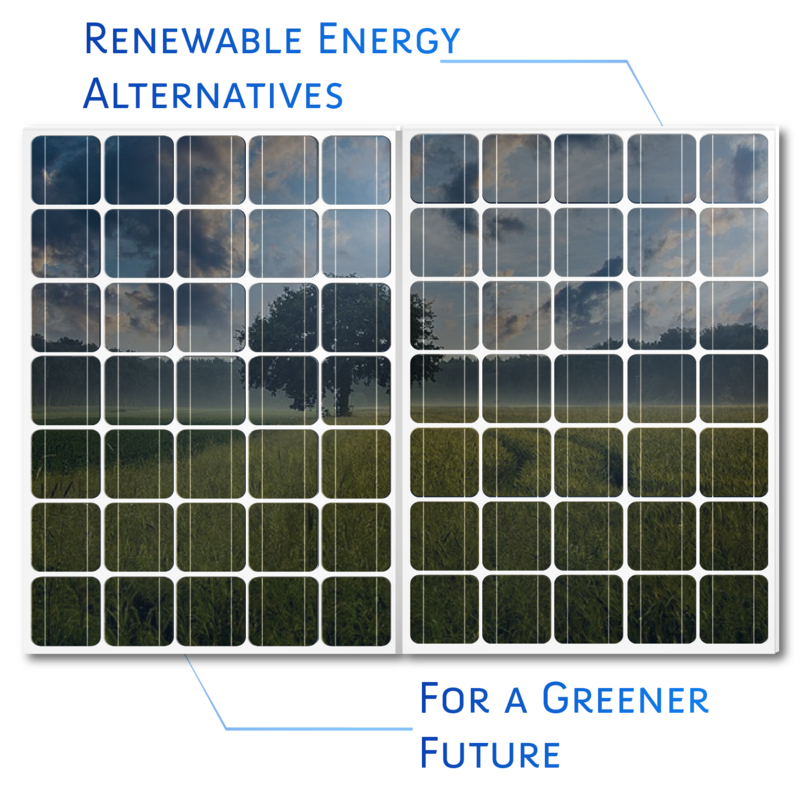 Learn more about our renewable energy technologies and their applications below. SOFSeal is a sol-gel ink, which is fired to produce Yttrium Stabilized Zirconium (YSZ) coatings for solid oxide fuel cell components. SOFSeal is deposited via screen printing between the existing compliant glass layer and metal interconnect to prevent the glass layer from attacking the metal interconnect. At the high operational temperature of SOFCs, the glass leak can reduce the performance of the metal interconnects. This problem is a deterrent for widely adopting SOFCs, a clean energy alternative, for electrical power generation. Commercially available YSZ coatings and deposition methods are either expensive or time consuming to be a viable solution. SOFSeal offers a feasible and economical solution (potentially less than $.05 per gram). For renewable energy sources to compete with fossil fuel-based sources, the efficiency, cost and convenience of existing renewable energy technology must develop rapidly. To meet this challenge, our proprietary nanoscale materials offer improvements on photovoltaic (PV) and photo-electrochemical cells (PEC). Under a U.S. Army contract, we developed carbon modified titanium dioxide (CM-n-TiO2) and cadmium selenide (CdSe) Quantum Dots (QD). The CM-n-TiO2 and CdSe QD when incorporated into a PV cell has the potential to increase the maximum attainable conversion efficiency of solar energy and produce higher photovoltages or higher photocurrent. We have developed a dye-sensitized chemically modified titanium dioxide (n-TiO2) photoanode. The emerging n-TiO2 photoanode could be incorporated into a PEC. The photoanode is incorporated into a PEC cell and uses solar energy to generate hydrogen by splitting water. The process results in oxygen and hydrogen evolution at the photoanode and cathode (Pt). The resulting hydrogen could be used to power fuel cells. The fully developed hydrogen producing PEC would be light-weight, efficient and produce zero-emissions. Capable of replacing bulky batteries or fossil fuel generators, the developed PEC could be used to power unmanned aircrafts, vehicles and, portable and larger electronics. Our biomedical diagnostic devices and therapeutic agents use novel nanowire sensors and temperature-responsive micelles to detect diseases quicker and better. Our nanowire-based sensors will detect biomarkers directly in saliva or blood without the need of a preparation phase, while our nanoparticle imaging agents show improved tumor delineation over existing methods. Our emerging biomedical diagnostic devices will be the necessary tools used by medical professionals and patients to make cancer and Alzheimer’s history. Learn more about our biomedical diagnostics technologies and their applications below. The need for highly sensitive and selective sensors to monitor disease biomarkers has spurred biosensor research. This has led to advances in the design and synthesis of semiconducting and conducting one-dimensional nanostructured materials. Recent developments attracting attention in this area include polymer nanowires and carbon nanotubes. These materials are exciting for a host of reasons, such as light weight, large surface area, adjustable transport properties, chemical specificity, low cost, processing ease, tunable conduction, flexibility, and scalable production. Conducting polymer nanowires and carbon nanotubes have generated particular interest in scientific and engineering circles. While sharing many of the attributes listed above (light weight, large surface area, etc. ), they also offer a large number of benefits including surface tenability allowing derivatization. In developing novel sensors for a range of target biomarkers, we have used microsized electrode junctions modified with nanowires/nanotubes for easy integration into an array format for multi-analyte detection. Spurring the interest of the National Institute of Health, we have attained various grants to develop this technology further for detecting cancer and Alzheimer’s biomarkers. Adnos™ detects a generally accepted panel of Alzheimer’s associated protein biomarkers by binding them to their corresponding antibody, such as Amyloid beta protein to Anti-beta amyloid antibody. 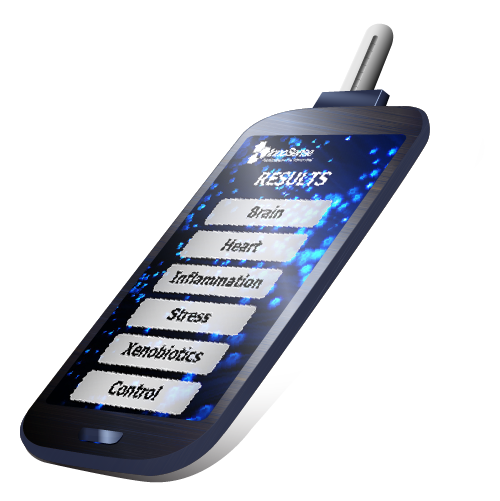 The envisioned Adnos sensor will detect the Alzheimer’s biomarkers in cerebral spinal fluid (CSF) samples in an easy-to-read handheld device. 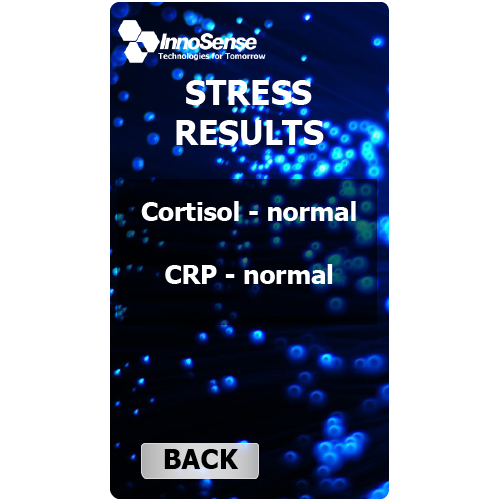 The biosensor is capable of highly sensitive and selective detection suitable for early diagnosis and therapy monitoring. Nano-MOS™ is a saliva-based point-of-care diagnostic device for early detection of multiorgan injury. Nano-MOS detects biomarkers indicative of multiorgan injury in saliva. The working model has been validated as capable of detecting the extremely low quantities in unprepared saliva (detection in the low femtomolar range). Unlike other saliva-based diagnostic tools, Nano-MOS will not require enzymatic amplification of the response signal or quenching of fluorescence where tagging materials need to be conjugated for probing. 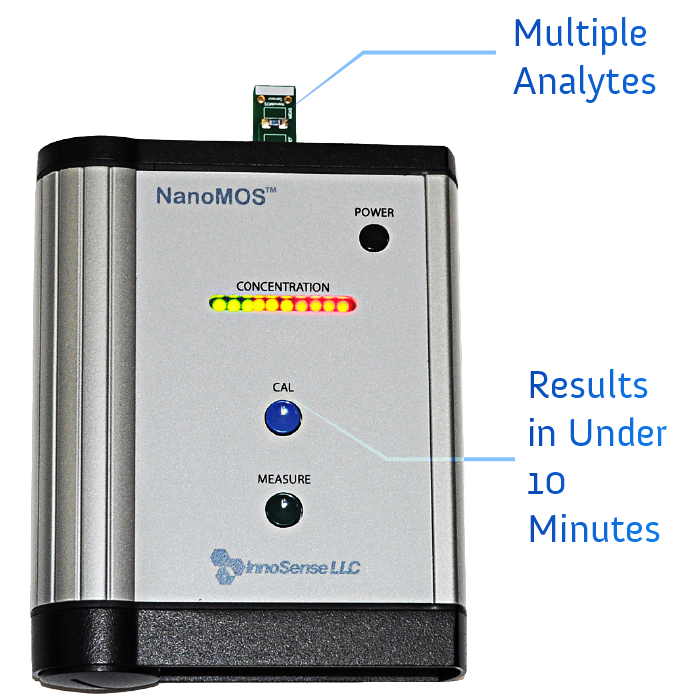 Nano-MOS will offer a non-invasive, easy-to-use and portable diagnostic device. Despite great advances in the diagnosis and treatment of cancer during the past few decades, it remains one of the most prevalent diseases worldwide. In the United States, the risk of developing or dying from cancer over the course of a lifetime is nearly 1 in 2 for males and more than 1 in 3 for females. More than 1.4 million new cancer cases and more than one-half million cancer-related deaths are expected annually in the United States alone. A long-term goal of InnoSense is to develop a family of nanomaterials-based technologies for tumor cell delineation and detection that will improve cancer treatment. The nanoparticle technology acts as an imaging agent – ThermoDots. Nanoparticle-based contrast agents can be used to improve the biodistribution and payload of contrast agents to tumors in vivo. Their selectivity to tumors is based on passive and active accumulation resulting from inherent physicochemical properties of the diseased tissue. 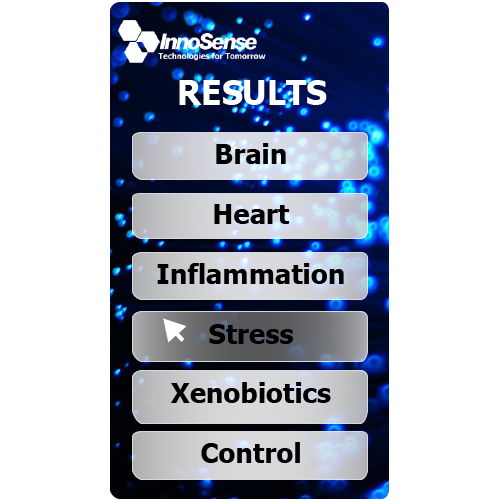 InnoSense is actively working on the development of nanoparticles as contrast agents for optical and magnetic resonance imaging supported by interest from the National Institute of Health (NIH). Fluorescent nanoparticles, when appropriately designed, can be used as high-payload tags for rapid and sensitive optical detection of tumor cells in complex physiological samples. As such, nanoparticles can be used to detect disease biomarkers and circulating tumor cells. InnoSense is developing nanoparticle formulations and instrumentation for sensitive detection and quantification of disease markers.